Stayed 2 wonderful nights in a Heritage Suite. Beautiful room ( my wife especially loved the bathroom) spacious and well appointed. The breakfast was incredible with a vast array of choices on offer. Service in all areas impeccable. Gardens are beautiful and despite being in the city center, you only hear the birds. After a fall in the Spa ended my luxury holiday the Hotel GM FOM and staff all surprised me for my birthday in my room with flowers and song. It was completely unexpected and reconfirmed why we always stay here wheb in Surabaya. It is the Raffles Hotel of Indonesia. We stayed in the Legendary Suite and were treated like royalty. Car and driver at our disposal, Breakfast sent up to our room and I have to single out Evan who stayed with me the first night of me injury and waited on me hand and foot, checked in on me during shifts and messaged me on his day off to see that I was ok. Every attention to details is covered and I cannot recommend it highly enough. We will always stay here. The hotel is as beautiful as I remember from previous stays well over 10 years ago. Beautiful gardens, generous rooms, relaxing pool. The service was friendly. Two problems: the towels supplied were white and fresh 10 years ago... this time they were grey and fraying at the edges. A desperate need to update these is required. The front desk check out person needs to have better training. It should not take 25 minutes to check out rooms. Great building with fantastic period features. I really like hotels with character and this is exactly like that. The rooms definitely need a refresh, do not appear to have been redecorated since Mandarin left. Towels and bathroom amenities of low quality. Housekeeping standards in rooms could be improved. Poor check in experience, had booked a heritage suite and requested one with a terrace. Was initially told none such rooms available, but after persisting check in staff magically found one. Breakfast OK but western options and range of fresh fruits could be improved. Dinner in Maj Pub was of poor quality and small portions. Dinner in Indigo restaurant acceptable. All restaurants devoid of guests and lacking in atmosphere. Mini bar contents very poor. New Accor management should focus on these areas to bring hotel up to standard. Delayed check out was extended to us, in view of our late evening flight. Check in was fast and efficient. Facilities in the room and around the hotel are awesome! 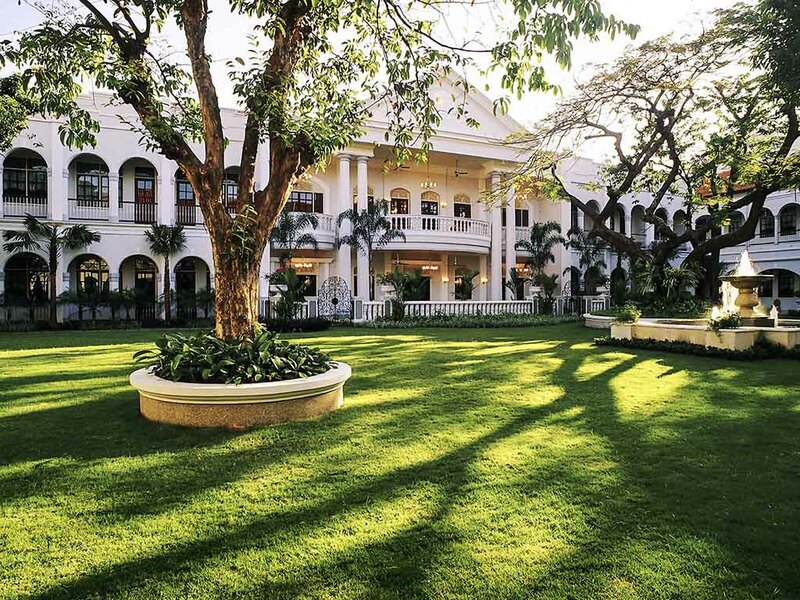 If you plan to go to Surabaya, you must stay even for one night at the Majapahit hotel. The charming old colonial hotel is up to date. Rooms are very well maintained and even if the hotel is located in a busy area you will feel a quiet place. Very hospitality and Amazing place! Quite surprised to learn that this is a historic hotel I read in the history books. The decor is colonial style, and might seem outdated, but overall very nice experience. It's like travelling back in time and I found my stay here to be extremely relaxing and enjoyable. Should've stayed longer. Clean and comfortable room, friendly staff, great food.